ESS Global Corp provides holiday security in Tampa because for small business owners to national chain stores. Black Friday isn’t your only worry. 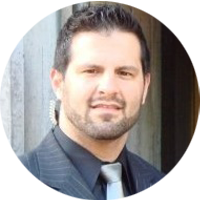 ESS Global Corp provides holiday security in Tampa because for business owners, the holiday season brings security concerns for every business. The significant increase in shoppers does wonders for your bottom line and generates brand awareness that can last into the new year. But there is a dark backside to the holidays, because with these benefits comes the need to hire additional staff members as well as additional security. The Holiday Season is when your store is the busiest, the your store associates are the most distracted, your fitting rooms are the most unorganized, the crowd is the more agitated and the time of year police are the busiest. All of this amounts to one of the most hectic and dangerous environments a store owner will ever see, at least until next year. This holiday season as your store begins to fill up, dishonest shoppers and untrustworthy seasonal employees will see it as a more appealing place to take what they’d like without stopping to pay the bill. According to reports by Business News Daily, U.S. retailers are expected to lose over $9 billion dollars from crime this holiday season, mostly from employee theft and shoplifting. U.S. retailers will lose $4.7 billion through employee theft through October to December, $3.8 billion though shoplifting and $400 million through vendor and distribution, according to a new study by the Center for Retail Research, far surpassing any other quarter. The majority of the losses occur from Thanksgiving to the end of the year. The losses will represent a 4 percent increase over the same period last year. Curtail Shoplifting – With these increased crowds, businesses of every kind and size are much more vulnerable to theft, especially in light of your staff being overwhelmed attempting to provide service to so many people. Contain Employee Shrinkage – Sadly, employee theft is more common than shoplifting in the holidays. More often than not, it’s the temporary season help. Sometimes these are professionally organised retail criminals posing as seasonal help. Provide Customer Safety and Crowd Control – During the holidays the crowds are larger and the tempers are shorter. Protect your employees and customers. Hiring an ESS store security guard for holiday security in Tampa is a great way to help ensure everything runs smoothly, and vastly reduces shoplifting and shrinkage. Just the act of having a visible security presence is enough to prevent many would-be shoplifters. ESS Security also helps protect the safety and security of both your customers and your employees. Depending on the size of your business, it may be necessary to take on more than one security guard in order to ensure that the majority of your premises is under observation and surveillance. 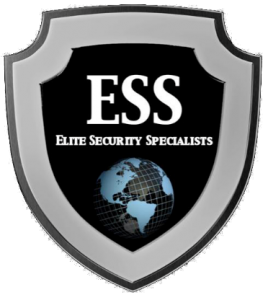 ESS Global Corp has been provides holiday security in Tampa, and is a leading global protection and security firm. Posted in ESS Global Corp, news, services and tagged armed security, ESS Global Corp, holiday security tampa, store security tampa, unarmed security.